maybe slimming clubs, restrictive diets, skipping meals through fasting. All in all, they can be a lot of effort with little or nothing to show for it, right? Now imagine being a clothes size smaller and having the tools to keeping the weight off. No more boring exercise routines, calorie counting, cutting meals or feeling hungry. In fact, most people will need to eat more! 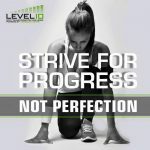 to get you killer results which are sustainable! You will get 21 days of coaching and support with your meals. You will learn the SKILL of correctly balanced healthy eating. we have the right 21 Day Challenge for you. helpful nutrition tips and some great motivation to keep you going the entire challenge. No need to buy a new gym membership or guess what to do for your fitness. 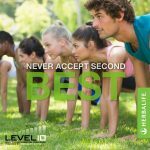 If you are local to us in Hildenborough, Kent you can also join our Herbalife FITClub for just £2 per class. achieving goals which will keep you on track. You will also get meal plan + snack ideas to suit YOUR goals. After the 21 days are up, we hope you will have developed some great new habits. More importantly we hope you’ll be feeling healthier, happier, and ready to take on more challenges! Herbalife nutrition products and to pay your registration fee. and how to join the secret group. 2) Pay your registration using the link below. £5.50 registration fee via Paypal.